I have been asking a few questions here to get to a proper one, the initial questions I asked are linked to at the end. 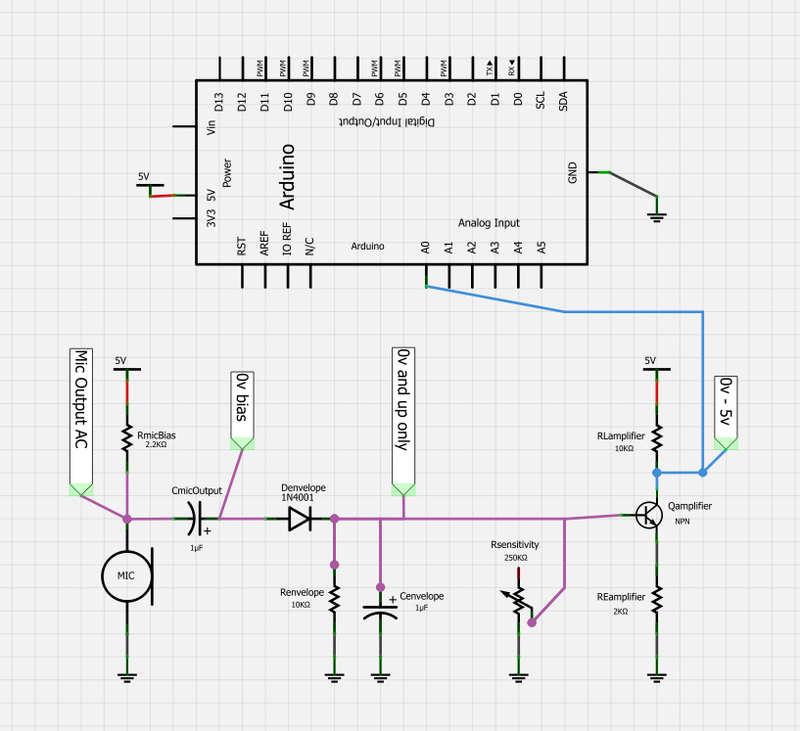 I used Fritzing to make up some schematics of my initial thoughts, but at the very least I need help with the values on the components, which I only vaguely understand and picked what seem to be reasonable or common values. Basically, I have an Arduino that has 6 analog inputs. It uses a 10-bit ADC to read the voltage on any of the analog pins, so 0 = 0v, 511 = 2.5v, and 1023 = 5v, and all the values in between. It makes a LINEAR DC reading, so I'm not looking for logic 1-0 here. I have this hooked to LED lights, and I want to make them respond to music. What I want is maximum resolution with minimum components, and I think I'm using WAY too many components and making this WAY too complex. Perhaps Electret microphones are not what I want here, I'm open to something else. I'd prefer to not use op-amps to conserve space on my PCB. I understand with a BJT that the best I can get is going to be 0.6v to 4.4v, but this is acceptable enough. What is not, however, is half of the wave, 0.6v to 2.5v. This seems to be wasting half of my available resolution for no reason. However, if there are other setups than a BJT that can get me closer to 0v-5v, I'd be interested in giving them a shot; as long as they're simple. Here's a simpler one, that I hope that this is possible, but it requires the electret signal to have enough amplitude to drive the envelope detector circuit (diode, resistor and capacitor) to get only the positive half. I don't think it can because of the diode's forward drop, but perhaps this can be rearranged or done before the output cap? What should the values of the envelope detector and amplifier resistors be? Should a sensitivity potentiometer be placed on the signal, or RE, or RL, and what should it's value be? Linear or Logarithmic? However, perhaps the electret output can't survive the envelope detector, sensitivity shunt, and still drive a NPN transistor. If not, here's a more complex version. Do I need to go this route? Does getting my desired output from the circuit really really require all these components? As you can see, U1 takes the input signal, inverts it and then multiplies it with 100. You can change R2 or R3 and you will see that the gain of U1 changes. Inversion of the input signal does not matter here, as you will understand later on. Let's look at the output of this amplifier, and you will see that there is a big growth on the input signal. Notice the negative feedback on the above circuit. That will give the OP-AMP the order to make \$V+=V-\$. OP-AMP will do its best to achieve this equation. Thus, the output will be 2.5 V, or in other words, half the supply voltage. And that is our new ground point. Since there is negative feedback in this configuration, U5 will try its best to make \$V+=V-\$. So, whenever the input is say 3V, it will make its output 3.6V to compensate with the 0.6V voltage drop on D3. 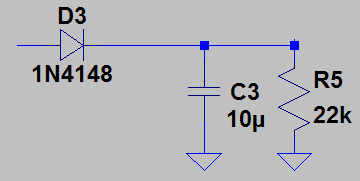 So, the output of this super-diode, hence the \$V-\$ input will be equal to its input voltage \$V-\$. However, when the \$V+\$ input is negative, D3 will not allow U5 to make the output negative. Also note that the negative rail for U5 is GND, which is 0 V. It will not be able to go below 0 V in any case, already. It works just like an ideal diode! In order to achieve this, we will use a differential amplifier or in other words a "subtractor". If you make V1= 2.5V and R3/R1 ratio 3, then you will get the output you wish. 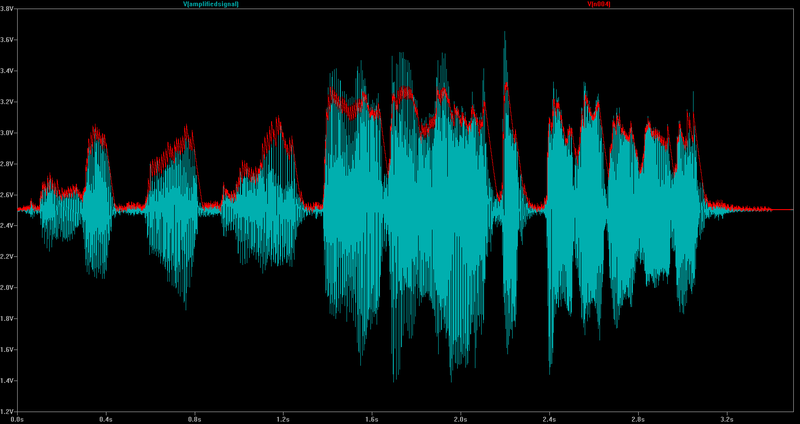 Now, when measuring these values in ADC, you will not get a linear sense, instead sound is better understood logarithmic, since our ears hear that way. 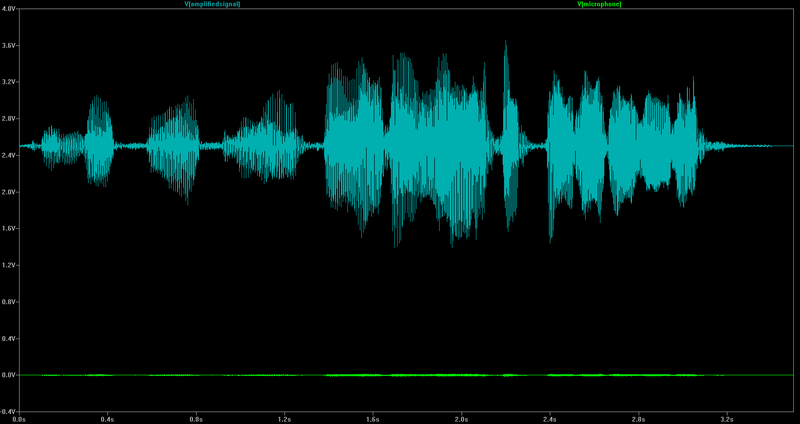 So, you should use decibels. 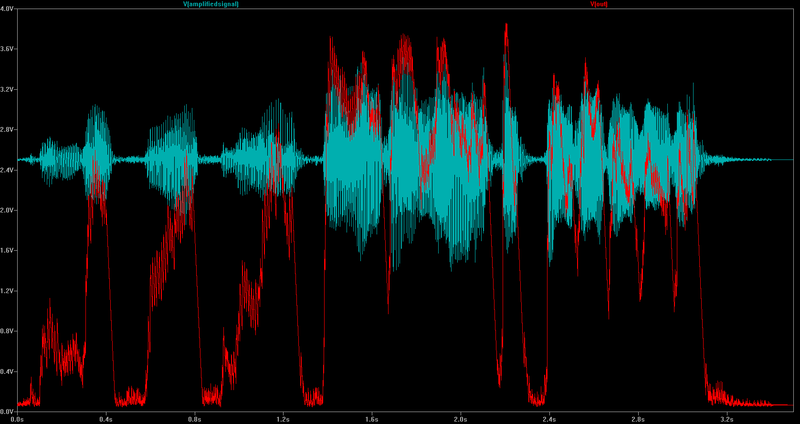 If you are not familiar with decibels, here is a great video tutorial about it. A quiet room, for example is measured to be around 40 dB. A party in a room will make the room's level go up to 100 dB, or maybe 110 dB. In this website, you can find great info about it, from where I also have embedded below image. Think about the decibel levels and experiment with the voltage output of the circuit. Then, calculate the ADC resolution that you will need. Probably, you will be fine with an 12-bit ADC. You seem to be on the right track. It does take a lot of discrete components to do this sort of thing. 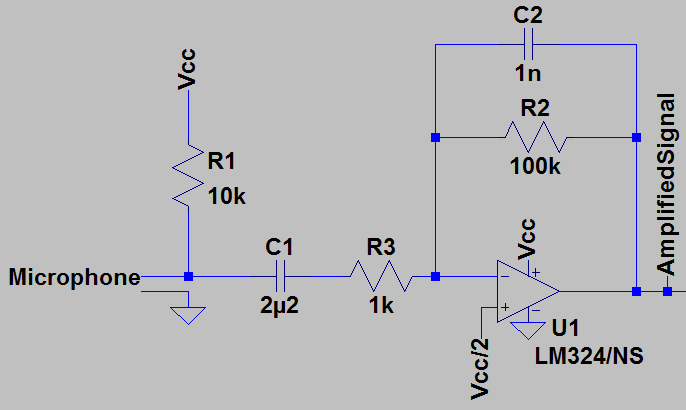 You may not believe me, but using op-amps may make all of this simpler and smaller. I'm sure you can find even more specific ICs that do more of what you need in a smaller package. I bet there's an IC out there that does exactly what you need. However, you will learn more if you proceed without them, even if only for academic value. 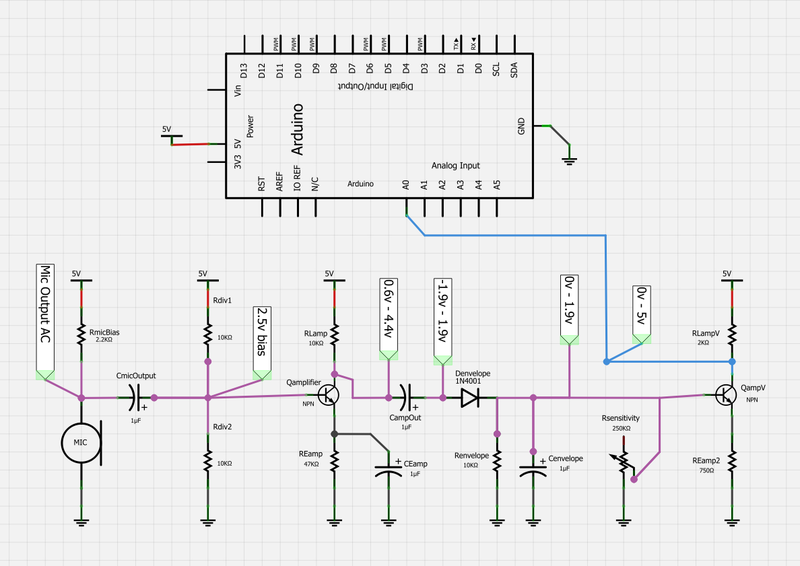 You can also make some of this simpler by moving the logic into the microprocessor. Envelope detection is easy in software, and depending on how accurate you need to be and the sensitivity of your microphone, you might even get away with omitting the amplifier after the microphone, and putting its output straight into the ADC. This won't get you 0V-5V, but does that matter? You can multiply it by a constant in software. What you lose is the accuracy of having the full range of the ADC available, but maybe that's not as important as simplicity. You decide. First off, you don't need the arduino unless you need to do more processing - all you really want is an amplifier (an op-amp would do, loads of basic circuits all over the googles) to boost the mic output in the range 0-5v. 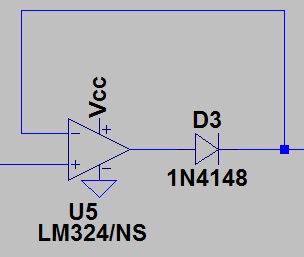 If you're not too worried about accuracy (as in this is for fun rather than scientific measurement) you can use a fairly basic clipping circuit, pipe the output into a schmitt trigger, or use an LM3914 to generate a display. Slightly more finesse could be had by making an AGC circuit to automatically ramp the gain up & down with the average level. Not the answer you're looking for? Browse other questions tagged arduino amplifier microprocessor microphone npn or ask your own question. Can I use a PNP Transistor with an Electret Microphone to get an non-inverting output for my Arduino? 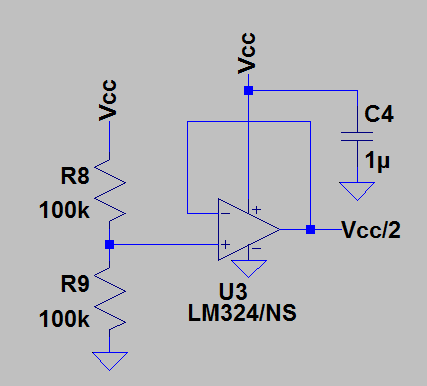 How to amplify electret microphone to range from 0-5V with bias of 2.5V? How the envelope detector works? Huge drop in voltage when connecting output to pin of microcontroller? What is the voltage range on an Arduino pin when doing analogRead()? 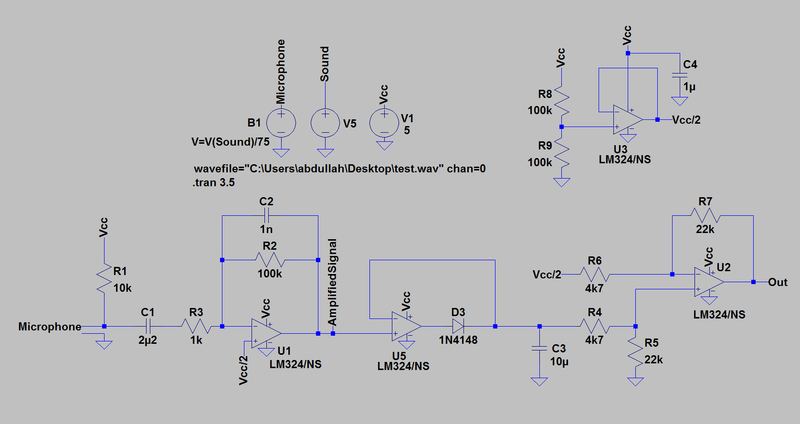 Why does my electret microphone amplifying and filtering circuit output so much noise?